As much as I enjoy vacations, it sure feels good to get home, sleep in your own bed and just enjoy your own surroundings. The heat (90s during the day) didn’t hurt the garden as much as I thought it might. In fact, the marigolds seemed to love it. 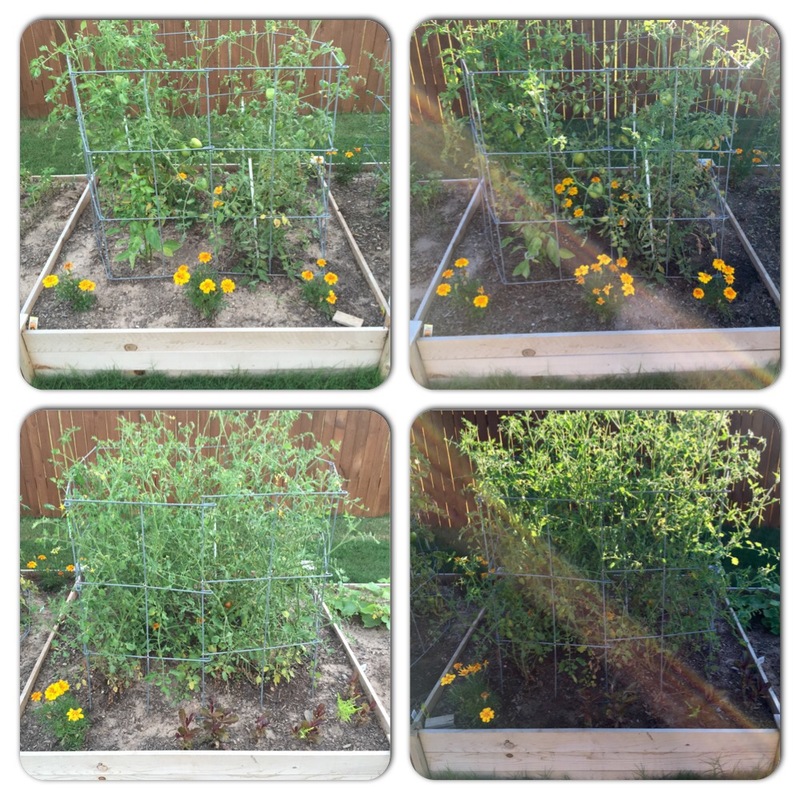 The top right photo (above) taken today shows how much the marigolds grew while we were gone (top left photo, taken a week ago). 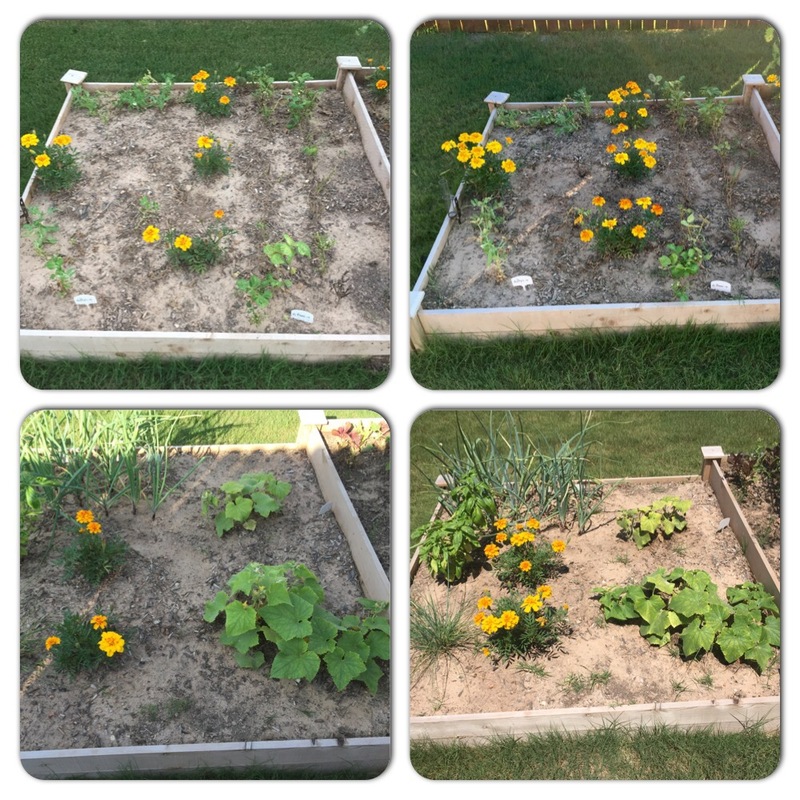 The photo below (left side taken a week ago, right side today) shows the other two raised beds, where the marigolds also thrived. 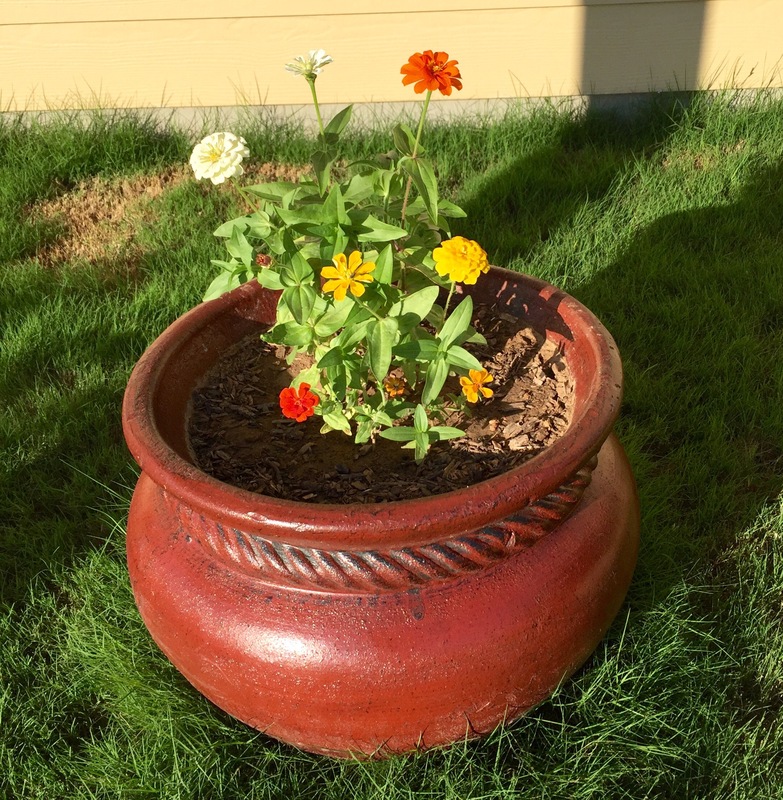 The zinnias also fared well in the pots next to the house, growing a good 2 or 3 inches. I’m really thinking I should start some more zinnias to get me through the summer. If it isn’t too late already.